You may have figured it out from the title of this post, but I’m going to be training for a 25k! The Grand Rapids River Run 25k race is in May and one of my coworkers has been talking about training for it for awhile. It sounded really tempting but at the same time, running wasn’t feeling good and I didn’t want to push my body into something it didn’t want to do. But I’ve really missed running and training for a race lately, thinking back to my half marathons and the year of 13 races, it was all just feeling so long ago. And then things happened and I ran 3 1/2 miles and felt on top of the world…then because for some reason running 3 1/2 miles makes you think over 15 miles sounds like a good idea, I decided to jump in. 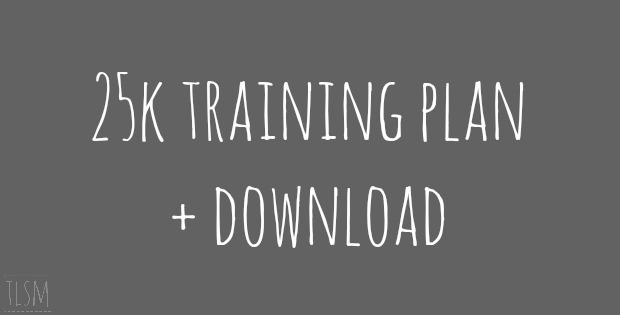 I haven’t bought my entry yet, but I’ve created my training plan (an extended version of Hal Higdon’s half marathon novice plan with a lot of hot yoga!) and I’m really excited to dive in. I shared it with my coworker and we’ll be able to cheer each other on and really support one another as the runs get longer. I’m excited to be training again and as long as my body feels good about it, running the race come May! 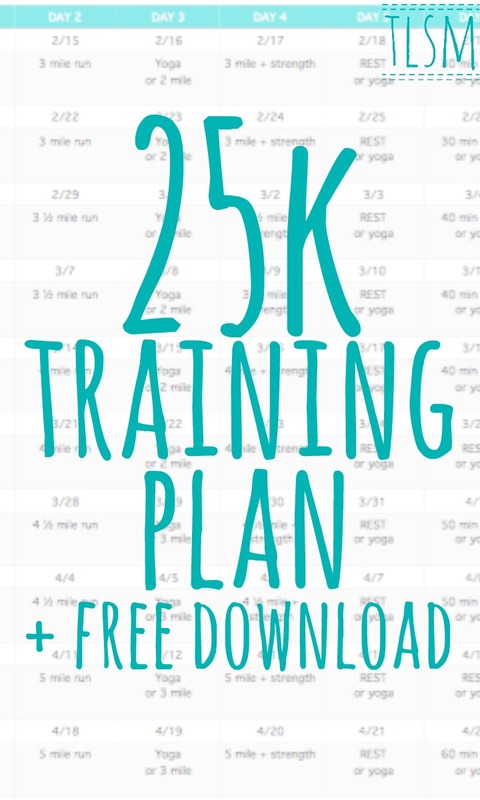 If you want a copy of my 25k training plan, go HERE. YES!!! My favorite GR race, without a doubt. I’m hoping to run this year, but it will really depend on how things pan out with my grandma and her health. mindy @ just a one girl revolution. recently posted…Inspiration: Olympic Marathon Trials. I ran a trail half in December and I did not train enough for it. So, I am a bit scarred! I may do this and sign up for a half in the fall, you have motivated me!! Pinned and ready! Meredith recently posted…the ultimate bachelorette final fiesta in scottsdale!